adidas today launched an initiative giving soccer fans around the world a unique chance to design the third jersey for some of the world’s biggest clubs. 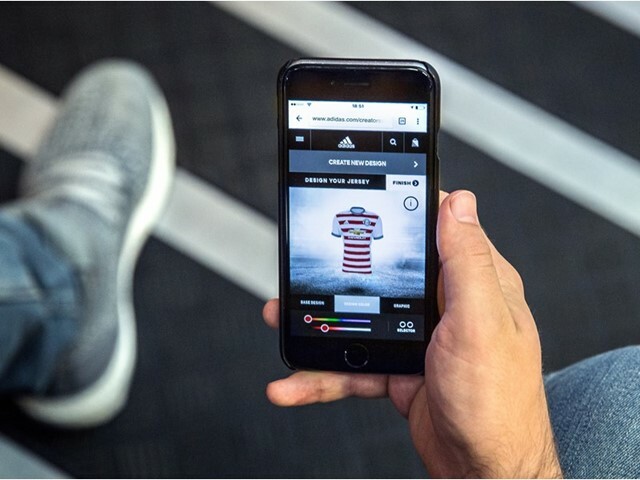 Called the “Creator Studio,” adidas’ new digital platform gives fans the chance to be responsible for the third shirts that will be worn by Real Madrid, FC Bayern Munich, Manchester United, Juventus, AC Milan and Flamengo. Fans will be able to upload and share their design online with their community through the Creator Studio, and use it as a platform to campaign for votes. Once the designs have been submitted the kits will enter Battle Mode, where fans will be given the chance to vote for their favorite kit. The kits with the most likes will be entered into a top 100 gallery per club. The winning shirt for each team will be decided by a judging panel of some of the clubs’ most iconic players, with the winning kits going into production as the official third jersey to be worn on pitch by each team during the 2017/18 season. This is the first time that adidas has put the design of its clubs’ kits into the hands of fans, providing supporters and aspiring designers with an opportunity to be a part of sports history. The Creator Studio is a mobile-optimized experience, allowing fans to submit designs on the go as well as from desktop computers. The digital experience allows creators to design the jersey of each club but excludes the shorts or socks. For further information please visit www.adidas.com/soccer or follow @adidassoccer on Twitter to join the conversation.